Hunter Bailey, a revolutionary sales and marketing firm has built its success on fairness and transparency within its company culture. Here the business warns why other companies must commit to better communication with their workforces. Hunter Bailey is a specialist direct marketing company that aim to provide rapid growth opportunities for clients, their brands and the sales representatives that work alongside them. The business work to provide the highest standard of customer service and professional brand representation with everyone they come across and are committed to achieving exceptional results. Hunter Bailey pride themselves on their transparency to their clients and their workforce, and it has played a significant part in the firm's business, the company have a horizontal structure for hierarchy, everyone is on a level playing field and given the same opportunities to share their thoughts and are treated as equal. Giving everyone the opportunity to share their views and feel like a valued member of the team has driven the company forward. 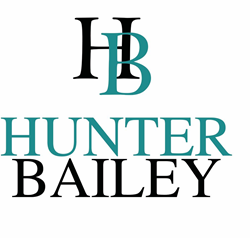 Empowering the workforce to take control of their success, while allowing them to communicate ways in which the business as well as themselves to be able to move forward, is central to Hunter Bailey's continued success. If a firm starts withholding crucial information from their workforce, it can be incredibly demotivating, regardless of whether the news is good or bad, according to a new study that suggests the quality and honesty of internal communication may be a crucial factor in engagement. The study conducted by Warwick business school, participants were asked to play a game of ‘dictator. It involved one participant trying to get the other to transfer them as much money as possible (either £5 or £10), although the person being given the money in the first instance would not be aware of how much they have been given. Researchers drew parallels from the experiment to real workplaces, with managers tending to have access to information before their reports and are subsequently able to decide on whether to share or not many tend to choose the latter. Withholding information from staff often has clear detrimental effects on staff motivation. Its important for managers to hold meetings regularly, listen to groups and suggestion schemes for staff. As a result, employees will feel more a part of the businesses success, which will then lead to an increase motivation. The study confirms Hunter Bailey's business model of communication and transparency as being vital to business success, as well as keeping their professionals happy, motivated and having trust in their ability and the company as a whole.